SILVER SPRING, Md., December 5, 2018 /3BL Media/ – In celebration of Human Rights Day, Robert F. Kennedy Human Rights (RFK Human Rights) and Discovery Education, the leading provider of digital content and professional development for K-12 classrooms, today announced an inaugural Speak Truth to Power Virtual Field Trip entitled For the Present and the Future: A Conversation on Human Rights. 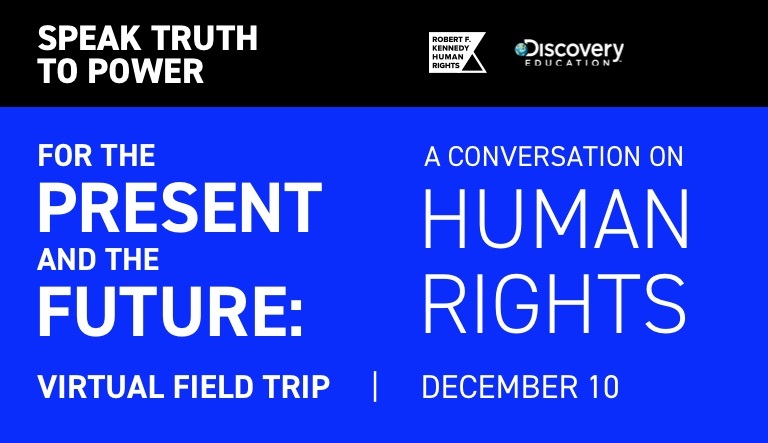 Together, with host Kerry Kennedy, daughter of Robert F. Kennedy and president of RFK Human Rights, the immersive educational experience will showcase established and rising human rights defenders for an inspiring conversation about activism on Human Rights Day, Monday, December 10, 2018 at 1:00 p.m. ET/10:00 a.m. PT. During the immersion, middle and high school students will hear from defenders as they share inspiring stories and answer questions about what sparked their passion for activism and meaningful community involvement. Educators, parents, students and advocacy communities are invited to register for the Conversation on Human Rights here. 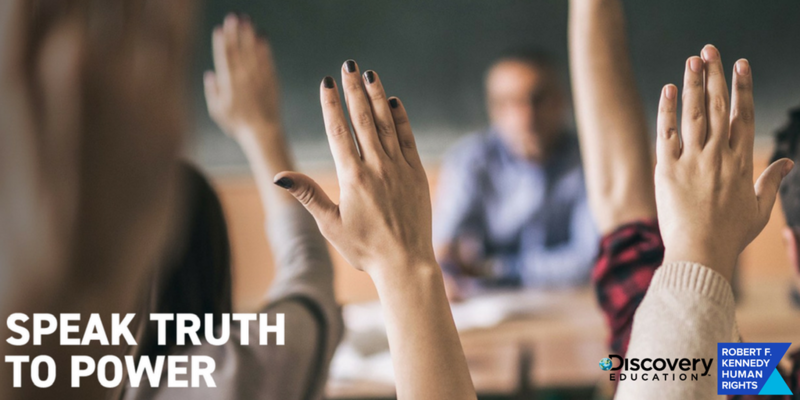 Viewers are also encouraged to join @DiscoveryEd, @RFKHumanRights and other experts for a LIVE Twitter chat during the premiere of the Virtual Field Trip using #SpeakTruthtoPowerVFT.